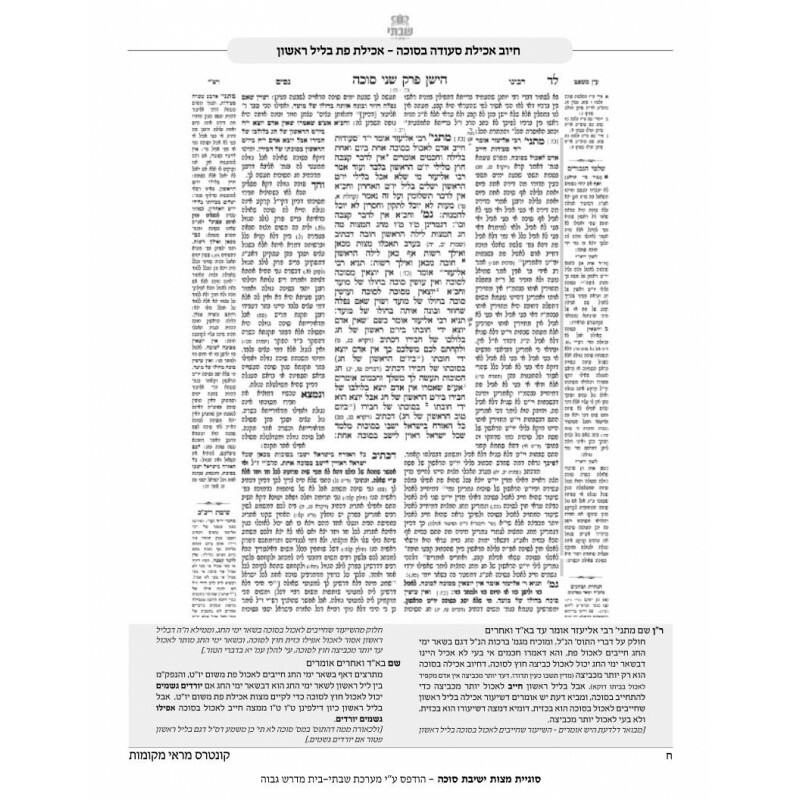 Focuses on the special obligation to eat in the Sukka on the first night of Yom Tov. 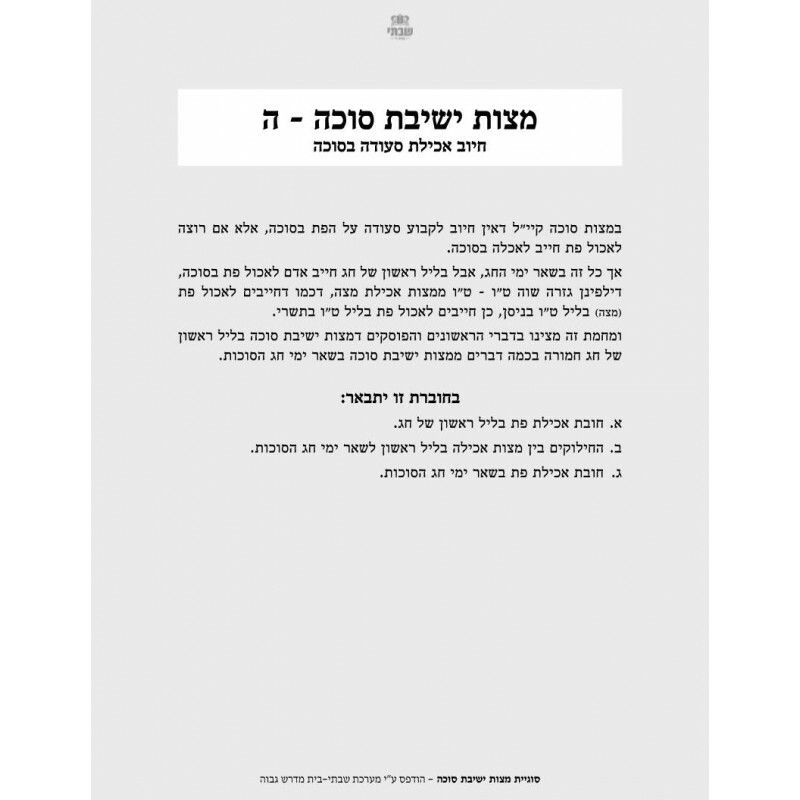 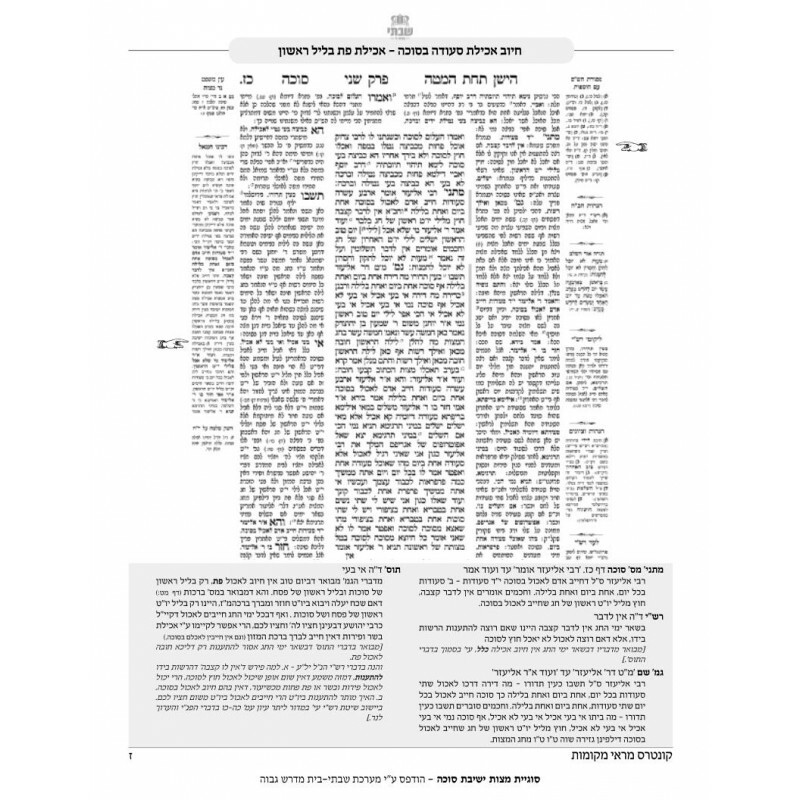 Also explores several halachic differences between the first night and the rest of Yom Tov, including what to do in case of rain and the minimum amount one is required to eat. Also discussed, are many common attributes between Yeshivas Sukka and the chiyuv of Matza on the first night of Pesach.